Getting a watch phone gives active people an excuse to leave their smartphones at home while working out. Rwatch R10 is an affordable watch phone with functions that make it a great gym buddy. 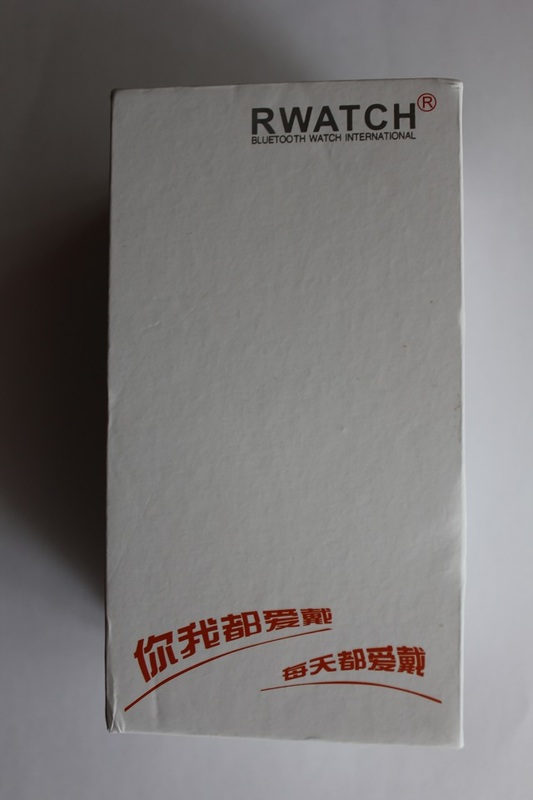 Rwatch opted to pack the R10 watch phone into a simple white cardboard box, with the company logo (and what I presume is their motto in Chinese) on the front side, and the device’s specs on the back side. 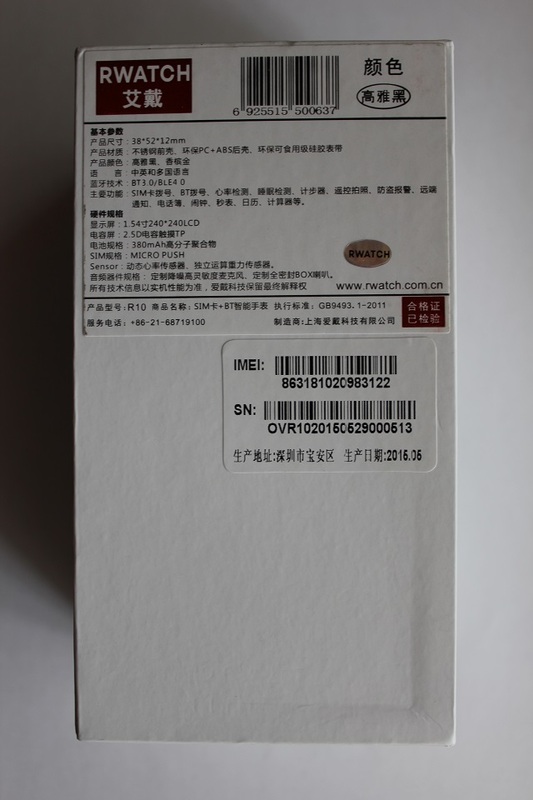 As for the actual contents of the box, there is a user manual and a USB cable for charging, besides the watch itself. 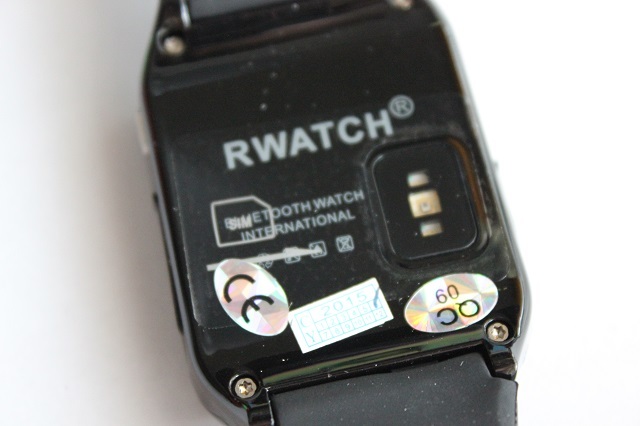 Even though people can rely on intuition to use the R10, it’s good to see that Rwatch hasn’t provided documentation solely in Chinese, and that English instructions are also available. The R10 seems very solidly built, but the very soft silicone strap is somewhat contrasting. Maybe a hard TPU strap would’ve worked better with the solid body of this smartwatch. On the left side of the device, there is a tiny speaker, along with the microUSB port that’s used for charging. 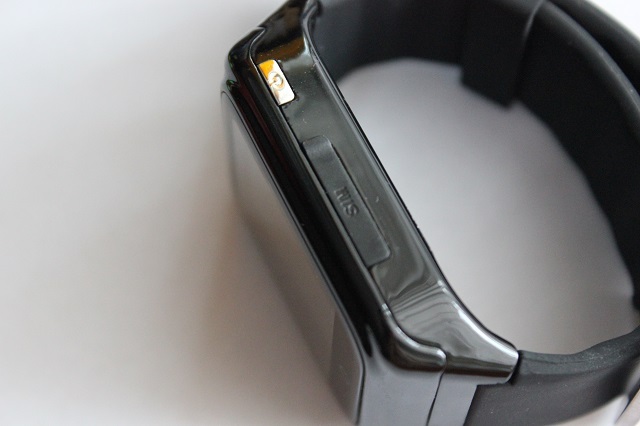 The Rwatch R10 isn’t waterproof, and yet the microUSB port is protected with a rubber cover from dust and other things that might cause it to malfunction. 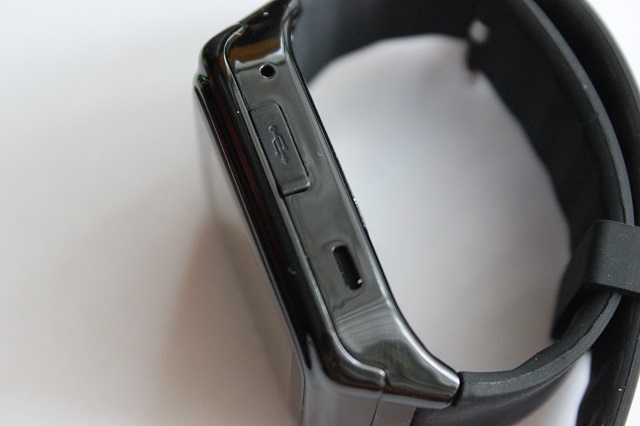 On the right side, there is a silver power button, which contrasts with the otherwise black design of the watch, as well as a microSIM card slot, which is also protected by a rubber cover. The power button definitely looks better on the silver version of the R10, and I really wish the manufacturer painted this to match the color of the device. Another important aspect is the display. 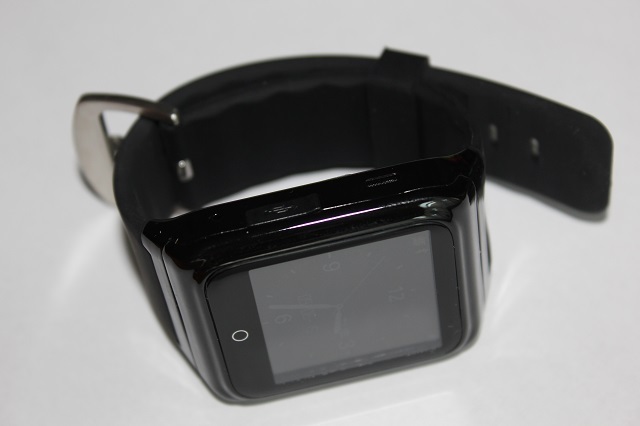 Rwatch equipped the R10 with a 1.54-inch color display with a 240×240 resolution. Given the 220ppi density, you won’t get to see any individual pixels unless you focus a lot. The display is protected by 2.5D glass that much like the rest of R10’s body attracts fingerprints quite easily. As for the touchscreen, it is responsive, provided that you don’t have big fingers. The R10 relies on Bluetooth 4.0 to sync data with your smartphone. When using a SIM card to place calls and send texts, the watch phone uses 2G networks, but that should suffice for these purposes. Implementing 3G or 4G might have been a lot more difficult, and frankly, high speed connections are useless if there’s no software to make use of them. Using a QR code that’s displayed by the phone when accessing a menu item, people can download the companion app. However, the website the app is hosted on is very slow, so I would recommend getting the app straight from Google Play Store. The app is pretty basic, as it displays only fitness and sleep statistics, and the heart rate. While the heart rate sensor seems to work on the smartwatch itself, I never got the app to display any value. The manufacturer might have to look into that, as the heart rate monitor is one of the major selling points of the Rwatch R10. The menu proves the versatility and the complexity of this smartwatch. Spanning over three screens, the R10’s functions cover different needs. Unfortunately, only three functions are displayed on the main screen, when using the digital watch face: Calls, Pedometer and Bluetooth settings. A Menu button is also displayed there, along with the Connect/Disconnect option. Bluetooth Dialing: Should you decide not to insert a microSIM card into the R10, to make it truly independent, you can always have the calls sent from the smartphone to the smartwatch over Bluetooth. While you shouldn’t expect crystal clear sound quality from this device, it is good enough to hear the other person and to make yourself understood. SIM Card Calling and Texting: In tandem with a microSIM card, the R10 shows its true capabilities. Calling and sending texts is fairly easy, but you shouldn’t do either of these when walking on the street or when driving. Heart Rate Monitor: This is one of the functions that has to be started and stopped manually. While the heart rate sensor works in real time, the refresh rate on the smartwatch isn’t that great, as the value is diplayed about once a second. The fact that the display doesn’t stay on when the heart rate monitor is running is also a major downside. Fitness and sleep tracking: Both these functions are achieved using an accelerometer. A gyroscope could’ve been useful, too, so that the display turns on when doing a wrist gesture. Currently, users have to press the Power button to see what time it is. Back to sleep and fitness tracking, these are done using simple estimations, so you shouldn’t expect extreme accuracy. To keep track of these over a longer period of time, you will need to use the companion app. Compass: If you’re into trekking and don’t have any GPS software on your smartphone, a compass might prove useful. Calibrating it might take a while, but after that, it works rather accurately. Find Phone: Assuming that you have misplaced your phone, but it’s still in Bluetooth range, you can find it using this function. Remote Camera: Gone are the days when you had to ask someone else to take a picture of you and your friends. Now you just have to access this function from the smartwatch, place the smartphone within Bluetooth range and control the camera’s shutter remotely. Music Playback Control: The smartphone’s music player can be controlled using the R10’s playback control function. The options are pretty limited, but as an avid music listener, I found this feature to be very useful. Besides moving to the previous or next track, you can also pause or play the current song. Another useful feature is the fact that the artist and the song title are displayed. Phonebook and Call Log: Having the log handy can save you the time you would otherwise spend looking through the 1,000 entries of the phone book. A 3.7V / 380mAh Li-Po battery keeps the smartwatch going. Of course, battery life depends on the usage patterns of each person, but without a SIM card inserted in the slot and with several notifications a day, you should expect around 2 days of use. GearBest currently sells the Rwatch R10 for $54.99, but the coupon code GBRR10 lowers the price by $9, to $45.99. That seems a decent price to ask, considering the versatility of the watch phone and the solid built. The Rwatch R10 is far from being the perfect smartwatch, as it lacks some functions. However, at this price point, the watch phone has a lot to offer. Besides the ability to take or place calls, and send text messages using an included microSIM, the R10 also sports a heart rate monitor and a compass, which definitely set it apart. Be social! Follow Walyou on Facebook and Twitter, and read more related stories about the I5 Plus waterproof smartband review, or the Uwatch UX smartwatch.